It’s that time of the year where we are looking in the closet trying to decide what to wear. I love dressing and putting together different colors, shoes, accessories and outfits. However, now that the season is changing, we have to change our wardrobe. 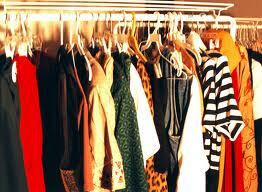 We are taking our lighter clothes and replacing them for heavier clothes. Our sandals and flip flops are being moved and replaced by our boots and closed in shoes. Some of our clothes can be worn all year round and there is no need to change. Let’s look at this from a spiritual view. Sometimes we are so particular about the clothes that we are wearing on the outside, but give little or no attention to the clothes that God wants us to put on. Another version of the Bible tells us to put on mercy, kindness, humbleness of mind, forgiveness and discipline. Since the scripture tells us to put on these things, I have to conclude that if we are not intentional about putting them on, we end up wearing something else. Thanks for this timely post! We are excellently dressed when we are dressed tastefully inwardly and outwardly.